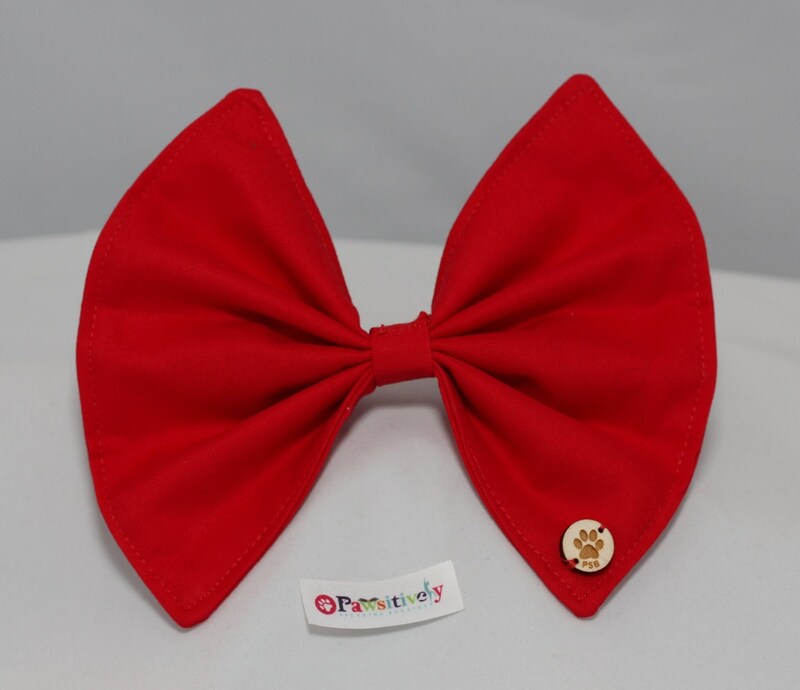 A beautiful red bow with white and small gray snowflakes! Double velcro points to anchor to your furry friends collar. Let us help make your furry friend Pawsitively Stunning for the holidays!